Although seen as a genre predominantly from northwestern Europe, some of this century’s most interesting power metal releases are actually from elsewhere and don’t always make it over to the west. Some bands try to make the transition by translating their songs to English, but ‘Imago’, the third full-length of Moscow-based Catharsis, is a rare example of the opposite. It was originally released in 2002 with lyrics entirely in English, just like their first two albums. The next year, a Russian version was released, which despite being musically identical somehow sounds superior. Certainly a must for fans of neoclasscially tinged power metal. Oleg Zhilyakov’s vocals are an important part of what makes this release so good. That can be said about any Catharsis album, because Zhilyakov has incomparable range, power and drama in his voice, but judging from his performance here, he feels slightly more comfortable singing in his native tongue. Fortunately, the language fits his passionate, semi-operatic delivery perfectly. While Zhilyakov is amazing, a great singer does not necessarily make a great band. Catharsis’ compositions are excellent though. They’re generally uptempo, but not as upbeat as most similarly styled German or Swedish bands. There is always a darkness brooding underneath Catharsis’ songs and the occasional progressive leanings bring Symphony X to mind. What stands out immediately about ‘Imago’ is how theatrical the songs sound with relatively minimal embellishments. Sure, Julia Red’s keyboards add some layers that the guitars cannot, but even she is not trying to emulate a full orchestra. Catharsis’ music immediately transports you to the darkest chapter of a fairytale. The guitar riffs are melodic and powerful, but not too heavy and the climactic choruses often feature Zhilyakov sounding like he is begging for his life to be spared, which is goosebumps-inducing more than once. Catharsis has a power that many bands in the genre strive for, but only few manage to achieve. Stylistically, most of the songs on ‘Imago’ are similar, but there are little clever compositional touches that make them stand out. ‘Voin Sveta’ has a more aggressive midtempo grind, the fiery ‘Izbranny Nebom’ has what is probably the most awesome riff on the album, ‘Vzorvi Moi Sny’ has a mind-blowingly exciting build up towards its chorus and ‘Tantsui V Ogne’ has a surprisingly danceable rhythm. Both ‘Zvezdopad’ and ‘Izbranny Nebom’ have a couple of unconventional twists in their amazing choruses as well. There are tracks that deviate from the norm though, most notably the multi-faceted doomy crawler ‘Rassvetny Zver’ and the surprisingly good ballad ‘Dalshe – Tishina…’. ‘Imago’ is not a perfect album – instrumental track ‘Tarantul’ has a lot of interesting ideas, but sounds like it should have been a full band composition rather than a piano instrumental – but it is the perfect album for anyone who wants a slightly different take on their power metal without moving away from the genre’s essence too far. Catharsis is full of great musicians, they know how to set a perfect mood or atmosphere for their music and – I can’t stress this enough – Oleg Zhilyakov is one of the best power metal singers in the world. Aria was Russia’s first big heavy metal band and still the country’s best. In fact, the band has been experiencing a second youth in recent years, despite a majority of its members being around sixty years old. Bassist Vitaly Dubinin and founding guitarist Vladimir Holstinin have never stopped writing excellent material and with the best Aria singer to date in the shape of Mikhail Zhitnyakov at their disposal, their exciting, often dramatic heavy metal songs are pushed as close to perfection as it gets. ‘Proklyatiye Morey’ is no different, though it does feature Aria treading surprisingly progressive waters at times. First things first: ‘Gonka Za Slavoy’ is probably the best opening track on any 2018 heavy metal release. With eighties heavy metal oozing out of every pore of the song, from its gorgeous twin guitar intro riff to its uplifting chorus carried by Zhitnyakov’s powerful tenor, the song sends chills down my spine I have not felt since Accept’s ‘Hung, Drawn And Quartered’ six and a half years ago. Sure, Aria has a history of fantastic openers, but ‘Gonka Za Slavoy’ certainly compares favorably to earlier masterpieces like ‘Proshay, Norfolk!’ and ‘Cherny Kvadrat’. Simply the perfect way to open the album. The rest of the album follows a pattern similar to Iron Maiden’s latter day works. There’s a few shorter, punchy songs alternated with some longer, more progressive tracks. Aria’s songwriting is more consistent, however, and ‘Proklyatiye Morey’ definitely has a better sense of dynamics. Despite lasting an hour and fifteen minutes, the record hardly ever feels that long, because the band never forgets to insert memorable hooks into even the longest songs. In addition, the more concise songs like ‘Era Lucifera’ and the excellent ‘Vsho Nachinaetsya Tam, Gde Konchaetsya Noch’ bristle with strong, catchy melodies and spirited performances. Picking highlights is difficult, but the nine minute ‘Zhivoy’ is amazing. It starts out like an epic, somewhat hopeful ballad, but then moves through a darker tranquil passage before turning into a defiant heavy metal song. ‘Baryag’ also is epic heavy metal at its finest, bringing to mind the better moments of Maiden’s ‘Brave New World’. ‘Ubit Drakona’, on the other hand, has a more seventies hardrock feel, underlined by some subtle Hammond organ underneath the simple, but brutally effective riff work. ‘Ot Zakata Do Rassveta’ is another delightfully uncomplicated headbanger with a surprisingly aggressive vocal line by Zhinyakov in its chorus. While it is tempting to call an album this long overlong, the songs speak for themselves. The semi-ballad ‘Dim Bez Ognya’ is slightly longer that it should be, but too good to be dismissed entirely. The title track is even the longest Aria song to date, but is a pretty convincing, doomy Maiden-esque track. What counts is that Aria continues its line of consistent heavy metal albums and plays with the energy of a band half their age. Heavy metal albums this good are pretty hard to come by this day and age and therefore, it is good that Aria is as reliable as ever. Even when they’re taking a few proggy detours that are as surprising as they are enjoyable. 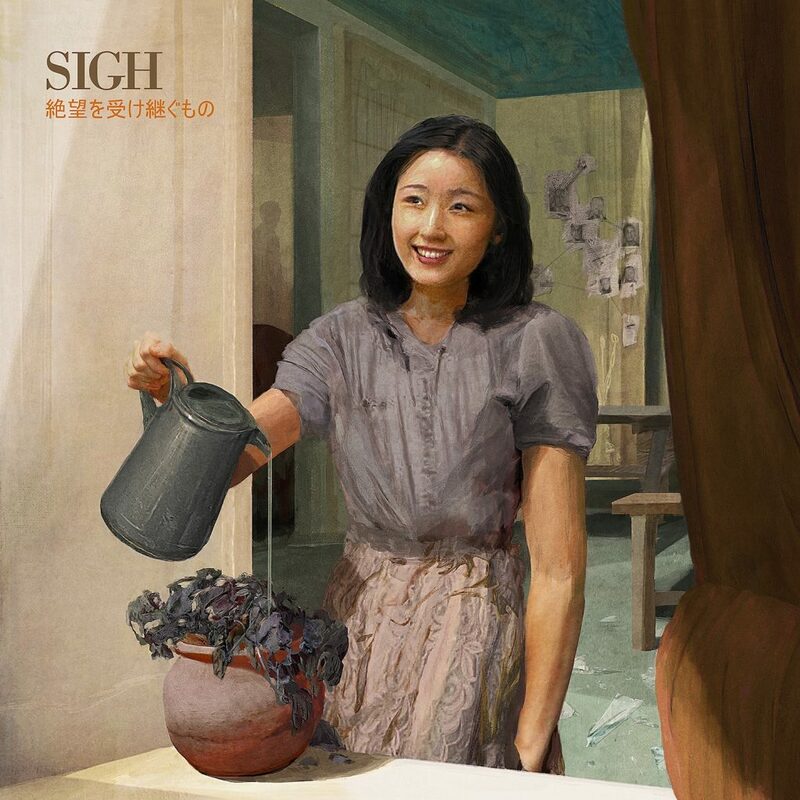 While Sigh started out as one of Japan’s first extreme metal bands, they have become one of the country’s most unpredictable bands. Though black metal is never completely gone, their highly experimental albums can contain anything from jazzy breaks to film noir soundtrack interludes and electronic beats. In a way, ‘Heir To Despair’ is one of the more accessible albums the band has released so far, but they once again follow a completely different direction than ever before. As long as you don’t expect a symphonic black metal record, the oriental melodies and traditional heavy metal riffs may enchant you. A brief genre description for the music on ‘Heir To Despair’ is as difficult as ever, but progressive East-Asian folk metal covers most of the bases. The inclusion of main man Mirai Kawashima’s flute gives certain sections a distinct seventies prog feel, while the shamisen of guest musician Kevin Kmetz – along with the general atmosphere of the melodies – gives the album what is arguably the most oriental vibe ever to be heard on a Sigh record. And yet, the eighties metal feel of the guitar riffs is also there. It is a mix of influences that is as unlikely as it is successful. Some people may be surprised by the relatively large amount of clean singing on the record. In addition to employing several traditional Asian vocal techniques such as throat singing, Kawashima has put down a handful of excellent, haunting vocal harmonies. The brilliant midtempo opener ‘Aletheia’ is full of them, for instance. A daring opener, as it does not ease the listener into the album’s sound, but drops the new sound on them immediately. ‘In Memories Delusional’ balances more traditional heavy metal sounds with more folky touches and strong hamonies and may be an excellent starter if you have not heard the excellent thrashy metal of ‘Homo Hominis Lupus’ yet. Elsewhere, the album can get a little weird. The electronic rhythms of the ‘Heresy’-trilogy can have a dubby feel due to the use of reverb, while most of the band’s influences are crammed into the three tracks. That is just a short detour though, since as a whole, ‘Heir To Despair’ is one of the most consistent Sigh albums both stylistically and in terms of quality. The album ends with two exceptional extreme progressive metal tracks that are filled with excellent ideas and sudden shifts in atmosphere. A very climactic ending to an album that isn’t exactly short on interesting musical ideas anyway. The most remarkable thing about this, however, is how Sigh managed to streamline all of those ideas. Sure, the trilogy is an obvious departure in terms of overall sound, but ‘Heir To Despair’ has a very pleasant flow for an album with such a wide range of influences. Sure, the pristine production helps, but in the end, it is a triumph for Kawashima in terms of songwriting and arrangements. This is a must for fans of adventurous metal, but even progressive rock fans who don’t mind a bit of extra grit could find something of their liking here. Fans of dark progressive power metal are having a good few weeks. 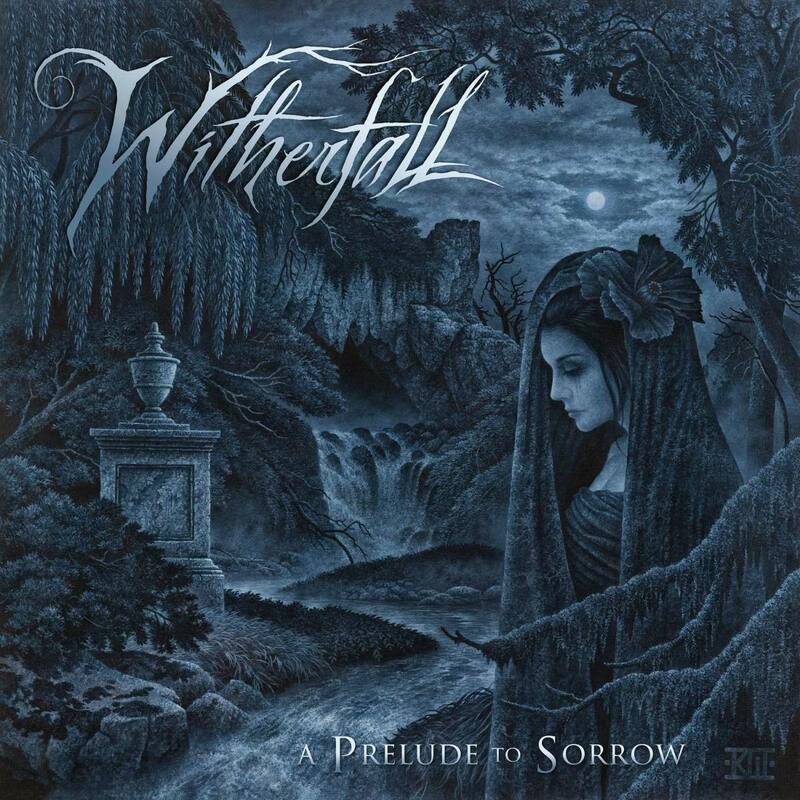 A week after the final recordings of Warrel Dane came out, Witherfall releases its incredible sophomore album ‘A Prelude To Sorrow’. Despite being aware of the other activities of guitarist Jake Dreyer (Iced Earth) and singer Joseph Michael (filling in for the aforementioned Dane in Sanctuary), this powerful combination of elements from various metal subgenres took me completely by surprise. With equal parts old school epic heavy metal melodicism and contemporary progressive touches, ‘A Prelude To Sorrow’ is a dynamic album that stays engaging all the way through. Upon first listen, ‘A Prelude To Sorrow’ struck me as a more progressive take on the approach Winters Bane took on ‘Heart Of A Killer’, but that assessment may be influenced by Michael’s voice, which bears a strong resemblance to Tim Owens’ on that record. However, Witherfall is even darker and more adventurous from a songwriting perspective. Most of the songs are quite long, two of them even exceed the eleven minute mark, but they are over before one can realize how long they actually are. The immersive atmosphere certainly helps there, but atmosphere alone only takes you so far. Musically, Witherfall’s sound is based upon a complex, but not needlessly virtuosic riff and rhythm department, upon which Michael builds some impressive multi-layered vocal mayhem. Keyboards are sometimes added to the mix as a subtle enhancement, but ultimately, Witherfall is really about riffs, rhythms, voices and occasional blazing lead guitar work. None of the elements ever become overbearing, because despite all their progressive leanings, the band knows that the songs and the melodies should prevail, however challenging they may be to execute. The songs generally feature a lot of twists and turns, but not so much that you lose track as a listener. Naming highlights is not possible without mentioning the massive bookends ‘We Are Nothing’ and ‘Vintage’. The former is a masterpiece that almost feels like a three-part suite due to the acoustic middle section splitting up an otherwise monstrous, almost doom metal-like track, while the latter is a particularly epic power ballad in tribute to the band’s deceased drummer Adam Sagan. The powerful ‘Moment Of Silence’ has an oppressively dark atmosphere and ‘Shadows’ constantly moves from aggressive to mournful and back remarkably effectively. ‘Ode To Despair’ proves that metal bands can do power ballads without immediately sacrificing their power. Anyone who listens to the likes of Nevermore, Morgana Lefay, ‘In Search Of Truth’-era Evergrey and Sanctuary’s ‘Into The Mirror Black’ should certainly give ‘A Prelude To Sorrow’ a spin. Though the music is highly atmospheric and Michael’s vocal delivery is fairly theatrical, the compositions and performances are so powerful that even those who are generally discouraged by such terms might enjoy this. Although I was aware of the individual skills of the musicians involved, ‘A Prelude To Sorrow’ overwhelmed me upon first listen and has enough interesting details to keep surprising me every time I put it on again. That may end up happening a lot. ‘Shadow Work’ is a bittersweet affair. While it is good to have a new album with Warrel Dane’s vocals, he died during the recordings of the album in São Paulo, making this the last time we are treated to new material by Dane, who I consider one of the best metal singers of all time. One thing his fans can rejoice about is the fact that his unexpected farewell album is incredible. It is a dark, twisted record that should please all fans of Nevermore and Sanctuary, save for maybe those who only enjoyed the earliest work of the latter. Dane’s solo debut ‘Praises To The War Machine’, released ten years ago, sort of felt like “Nevermore light”. While it sounded similar to his main band, it had a simpler, more open sound, with the virtuosic technicality of his main band reduced to a minimum. By contrast, ‘Shadow Work’ is heavy as it gets with some impressive playing by Dane’s Brazilian backing bang. Guitarists Johnny Moraes and Thiago Oliveira must be fans of Jeff Loomis or at least must have studied his work closely. Their heavy riff work and melodic ornamentation certainly would not sound out of place in Nevermore. Where ‘Shadow Work’ does distinguish itself is its atmosphere. The intense ‘Madame Satan’ and the nearly extreme metal of the intro to ‘The Hanging Garden’ are quite possibly the darkest stuff Dane ever worked on. The guitar work manages to be vicious and atmospheric at the same time, the compositions take a few unexpected turns and Dane’s emotional vocals give this stuff a melodic dignity that many progressive death metal bands can only dream of. ‘Disconnection System’ sounds closest to Nevermore (and even recycles a bit of the lyrics of ‘The Politics Of Ecstacy’) and would therefore be the best track here to sample before diving into the album. Metal was never Dane’s only ace in the hole though. Much of his increasingly equipped lower register has a strong gothic quality to it, which fits the ethnic sounds of the overture ‘Ethereal Blessing’ perfectly. The closing epic ‘Mother Is The Word For God’ features him snarling, bellowing, begging and whispering into your soul, truly enhancing the constantly shifting moods of the song. The track has echoes of Nevermore’s ‘This Godless Endeavor’, without sounding like a copy. The arena rock vibe of ‘As Fast As The Others’ and the ballad ‘Rain’ are slightly more accessible, but no less gloomy. It would be tempting to call ‘Shadow Work’ unfinished. It was supposed to be an eighty minute record (instead of slightly over forty) and I’m sure Dane would have polished up a few vocal lines had he lived long enough to do so, but complaining about that would be missing the point entirely. Dane’s band deserves all the praise they can get finishing these recordings as well as they did and the singer’s emotional, dramatic delivery is exactly what makes ‘Shadow Work’ the goosebumps-inducing experience it is. 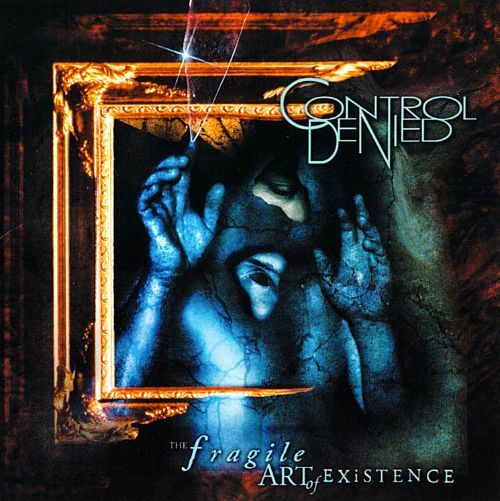 Sure, it’s a little rough around the edges sometimes, but that doesn’t deter from the fact that this is easily the best album with Warrel Dane singing in thirteen years.